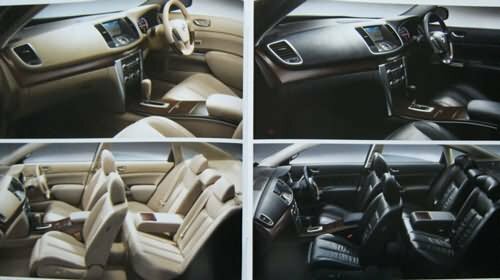 Nissan Teana has launched by Japanese car company Nissan in India, Teana is its flagship sedan model, having stylish luxury has been introduce in India with a refined powerful engine. Nissan Teana is high on comfort and loaded with several exclusive features. Available in two petrol variants XL and XV, Teana is powered by a 2.5L V6 engine that generates 185 bhp@6000 rpm and a torque of 228 Nm@4400 rpm. A heap of latest features include ottoman-style leg-rest on the front seats, drive computer, comfy leather upholstery, intelligent key system, and a premium 6-speaker 6-disc CD changer audio system. Teana now comes in two petrol variants: XL and XV. The two variants are powered by a reputed Nissan VQ series engines. The Nissan Teana is out to give tough competition to the Skoda Superb and Toyota Camry. Nissan Teana has attractive looks with perfectly fitting wheel arches and an exceptional aura of panache. 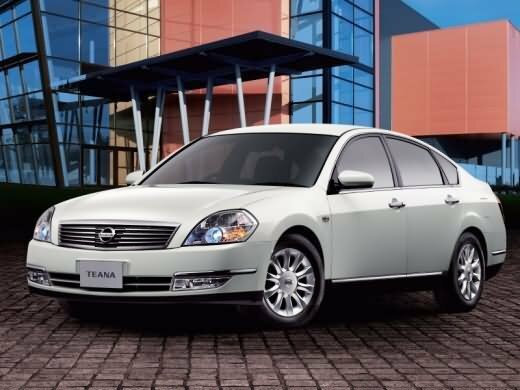 High-projector headlamps, placed on either side of a stylish chrome grill provide an elegant look to Teana. Other exterior features include high mounted LED rear stop lamps and LED rear lamps that catch everyone’s attention when Teana stops. Nissan Teana can actually be termed as a synonym to luxury. Leather upholstery and 8-way electronically powered front driver’s seat provides a relaxing drive. The sophisticated wooden interiors and the stylish dashboard gives the sensation of a luxury suite of a 5-star hotel. A highly informative console provides complete visual confirmation of air conditioning settings, outside temperature, audio system and time. It also allows you to monitor the drive computer. The most charming feature is the LED indirect illumination on the center console which makes front passenger and rear door grips shine softly, creating a welcoming interior. The soft-touch buttons and the pampering ottoman-style leg-rest on the front seats to support the lower legs ensures next generation driving luxury. Nissan Teana provides world class safety to its passengers. All wheel disc brakes along with ABS and EBD ensure the control of Teana even in unavoidable circumstances. This luxurious sedan is designed to absorb impact. The crush-able zones and a safety restraint zone work together with multiple Supplemental Restraint System airbags to avoid and reduce accidental injuries.